A Jewish necropolis from the Late Middle Ages, which is located near the eastern Bulgarian town of Karnobat and contains the earliest known graves of Sephardi Jews in the Balkans, is set to be restored and turned into a cultural tourism destination. The unique Jewish cemetery near Bulgaria’s Karnobat is one of the largest medieval necropolises in the Balkans, says in a statement the Burgas-based Jewish-Bulgarian Cooperation Center “Alef", which has been authorized by the Organization of the Jews in Bulgaria “Shalom" to work on the exploration, rehabilitation, and restoration of the necropolis. 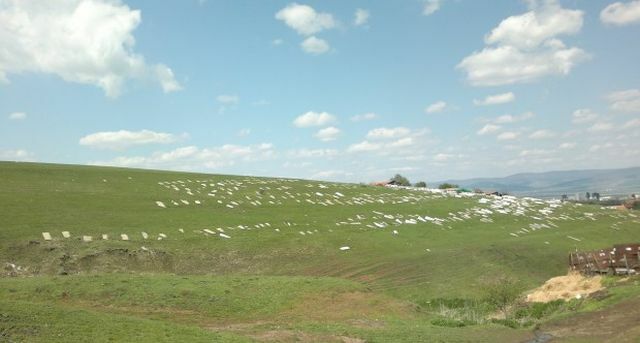 The “Alef" Center has announced that an international NGO called “Save and Protect European Jewish Cemeteries” has committed funding for the restoration of the necropolis near Bulgaria’s Karnobat. The earliest grave in the Sephardi Jewish cemetery near Karnobat is dated to 1598 AD. According to Bulgarian archaeologist Dimcho Momchilov, the latest excavations at the Jewish cemetery near Karnobat were done in 1991-1995. Sephardi Jews settled in the Balkan and other provinces of the Ottoman Empire, including modern-day Bulgaria, after 1492 AD when they were chased away from the Iberian Peninsula by the joint Catholic monarchs of Spain, Isabella I of Castile and Ferdinand II of Aragon, with the Alhambra Decree. The late medieval Jewish necropolis near Karnobat has a total area of about 50 decares (app. 12 acres), and contains about 1,000 preserved marble tombstones each of which is engraved. Many of the graves have not been excavated and researched, and many of the epitaphs engraved on the tombstones, which are found in at least five languages – Hebrew, Ladino (Judeo-Spanish), French, German, and Bulgarian – have not been deciphered. 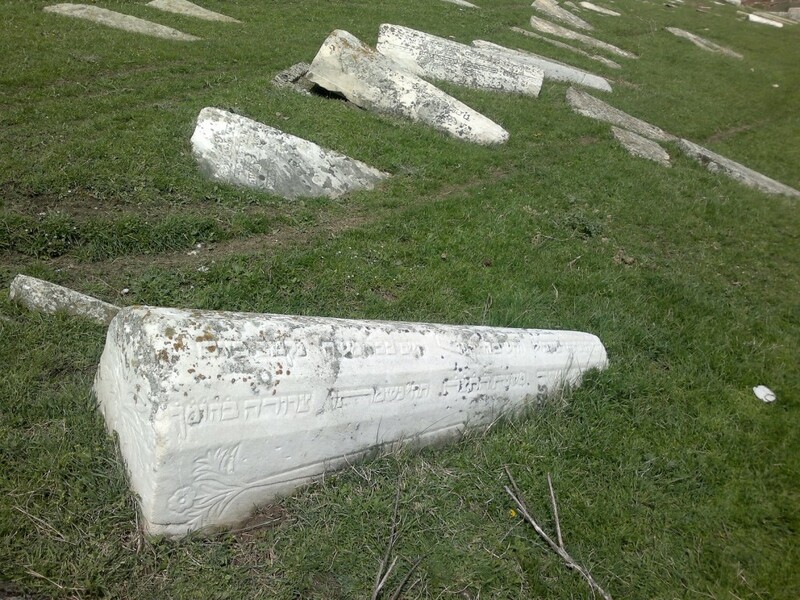 Most of the Sephardi tombstones are made of marble from the region of today’s town of Malko Tarnovo in the southeastern–most part of Bulgaria. The oldest tombstones have engraved depictions indicating the gender, education, or profession of the deceased person – such as an ink pot and a quill, a needle, a pair of scissors, a belt, belt buckles, or flowers. The “Save and Protect European Jewish Cemeteries” Organization has rehabilitated more than 30 Jewish cemeteries in Ukraine, Poland, the Czech Republic, and other European countries, and the Jewish cemetery near Karnobat is the first site in Bulgaria in which it has expressed interest. At present, the Jewish necropolis is in a bad condition, and within easy reach for treasure hunters and looters. It will be fenced off from the nearby farms, quarry, and Roma quarter, and will be preserved for future archaeological excavations, says the announcement of the “Alef” Center. “Save and Protect European Jewish Cemeteries” has committed to providing funding for the delineating, fencing, security, and information infrastructure of the late medieval Jewish necropolis in Eastern Bulgaria. The rehabilitation of the archaeological site have been discussed at a meeting by Karnobat Mayor Georgi Dimitrov, Philip Carmel, Executive Director of “Save and Protect European Jewish Cemeteries”, and the Chairwoman of the Jewish-Bulgarian Cooperation Center “Alef" Alberta Alkalay. “For a number of reasons we have not taken good enough care of the necropolis. Karnobat Municipality has the ambition to turn into a tourist destination. The investment that we are being offered will allow us to set a start, and create one more place that is attractive for visitors. That is why the municipality will do everything possible to speed up the administrative procedures, and start the construction works," Karnobat Mayor Georgi Dimitrov is quoted as saying. “We hope that with this initiative we will help the entire region by spurring tourist interest. Educational visits and pilgrimage tours can be organized here. The necropolis is very attractive. Once it is rehabilitated and easily accessible, it will bring visitors. Our project will influence not just the development of Karnobat, but also the relations among the people. It will boost tolerance among different ethnic groups," Philip Carmel is quoted as saying. Before the rehabilitation of the Jewish cemetery can start, however, a number of administrative procedures will have to be completed: receiving a “Monument of Culture" status from the Bulgarian Ministry of Culture, transferring the property from Karnobat Municipality to the central government, drafting a detailed territorial organization plan, and receiving a construction permit.